Corkwing is my personal website, mostly about saltwater fishing in Scotland and the joys and despair of doing so from small boats. I find my affinity with wild and remote areas deepens as the seasons pass, so there’s an growing emphasis on general fossicking about, camping (with or without boat), plus some wilderness experiences in Canada and the USA. My name is Doug and I’m based in Edinburgh, although my fishing career started off in Aberdeenshire – trout fishing in the local burns. By my late teens I’d graduated to saltwater and sea angling is pretty much all the fishing I do nowadays. I bought my first boat in the mid-eighties – an open 14 foot plywood dinghy with a 4hp engine which rather surprisingly kept all aboard safe for over 4 years, despite it’s skipper’s incompetence. I moved up to an Icelander Flying Fifteen (very similar to a Seahog Hunter) in the late eighties, which kept me afloat for the best part of twenty years. Since then I’ve graduated to a Warrior 165 and around three quarters of my fishing is now done afloat. Recently, and with some reluctance, I’ve swapped out the Warrior for a new Orkney Longliner 2 as I wanted a lighter boat that I could keep under cover. Early days yet, but the Longliner 2 looks a pretty good match to my needs. I do still enjoy a my shore fishing, especially from the Aberdeen rock marks I cut my teeth on many years ago. Combining fishing with a bit of camping and hiking also ticks a lot of boxes for me and, largely freed up from kiddie-minding, I can increasingly be found wandering round shorelines from Loch Etive to Cape Wrath with a rucksack and a rod or two. My local harbour is Dunbar, which fishes best from mid-May through to September, mainly for codling and pollock. A similar season seems to hold for the very varied fishing of SW Scotland, extending to end October if the weather holds, and this is where I prefer to spend time if I can get a few days to spare. 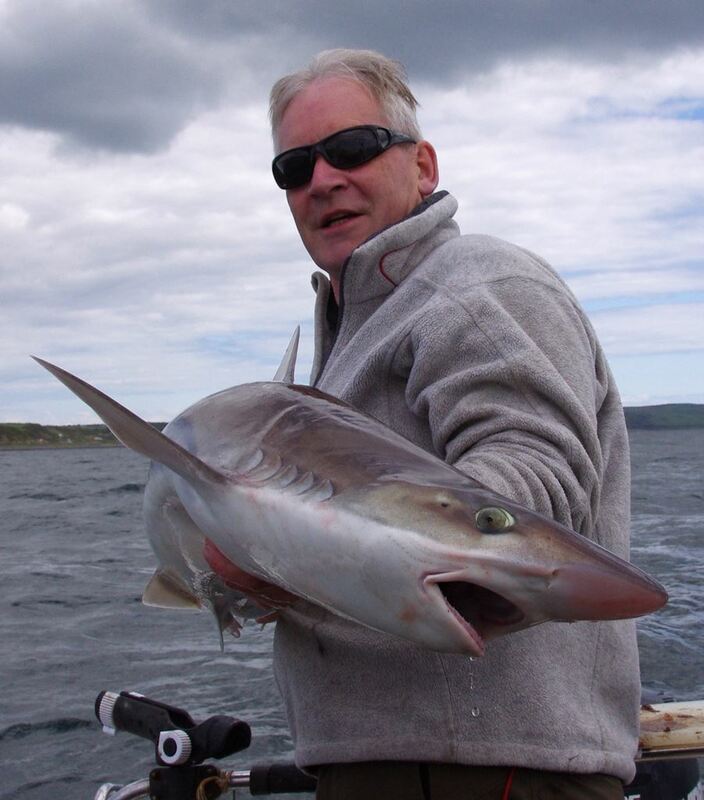 October/November through to April tends to see fishing more confined to the sea lochs of Etive, Leven and Sunart plus the odd day out of Oban, and targetting spurdog, thornbacks and common skate. And the name of the site? – I wanted something fishing related, but not too obvious. Corkwing is a small species of wrasse, and I enjoy catching its larger brothers – ballan wrasse and (occasionally) cuckoo wrasse, which are amongst the most colourful of UK species. First of all, what an interesting blog. I came across it after searching for information on fishing Loch Etive. I was really interested in your use of an inflatable for occasional fishing. I have never owned a boat and probably don’t have time to look after one. However, it seemed that an inflatable might be a great thing to have in the garage. I just wanted to ask what brand etc the one you have is and whether you would recommend it to others? Was doing a bit of research on bass & sea trout caught in Wigtown Bay, as I have just bought at house at Carsluith. Came across your site – its great – read some of your 2009 reports, which confirmed my bass thoughts, but no clues to sea trout. If you get bored and have 15 mins to spare I would appreciate some more detailed info on boat fishing in the bay. I do realise that this will cost me a few pints if we ever meet ! I normally fish out of Port Logan or Drummore, but sold our hol house there and purchased in Carsluith. I live in Whitley Bay, but have been fishing over their for 20 years or so. Great blog !love reading about your adventures,keeps me sain ,I am also an Edinburgh man now in fife.I used to fish Dunbar years ago with a club so interested in your posts,I have recently bought a sib so getting back into it !I have a five year old who I watch most of the time so reading about fishing is as good as it gets other than the odd trip.Thanx again and well done on the site one off the best out there . hopefully with recently aquired 16ft boat. Hoping to catch some cod,could you help with some specific marks to try at this time of year? Distance from shore ,depths ect.this will be the first of many in the year to come out of dunbar.all belng well.any info appreciated. Thanks. Unfortunately I think you’ll struggle at this time of year, as Dunbar is more of a summer/autumn venue (like most of the east coast). You can get fish but it’ll be hit or miss and I don’t personally bother much until April or May – late May sees a huge improvement. If I was out this week I’d probably try and take some rag, lug, mussel or mackerel, in descending order of preference and fish rigs near the bottom. I’d also be prepared to anchor as this can sometimes improve things a bit rather than just stay on a drift. Marks-wise, you probably want to be fairly close inshore over the hard ground and the areas off Torness and West Barns light are probably as good as any – you’re looking for drop-offs as you go over the ledges in maybe 50-60 feet of water a few hundred yards from shore. 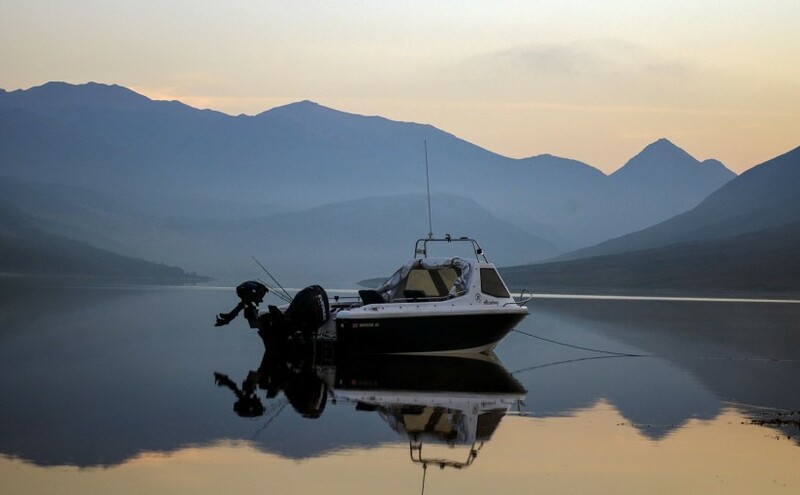 I have to say that I’d head west to Leven or Etive at this time of year – the fishing from a boat is much more reliable, not to mention safer and more comfortable. Good luck if you do make it out though – you’ll certainly earn any fish you catch!